We’ve been just dying to share this stunning outdoor wedding at the Dallas Athletic Club captured by the talented Edmonson Weddings. No detail was overlooked from the bright pops of florals from The Art of Chris Brown to the adorable place cards designed by Simply Personal. Set beneath an incredible Texas sky, this vibrant fall wedding coordinated by Social by Dana Carroll had it all. The tables were dressed to impress in elegant linens from BBJ Linen. We just love this adorable groom’s cake from Fancy Cakes by Lauren surrounded by strawberries dressed in chocolate tuxedos — too cute! We were blown away by these gigantic framed pics of the bride and groom that greeted guests as they arrived at the wedding celebration. Every special moment of this grand affair was caught on film by Hakim Sons Films! 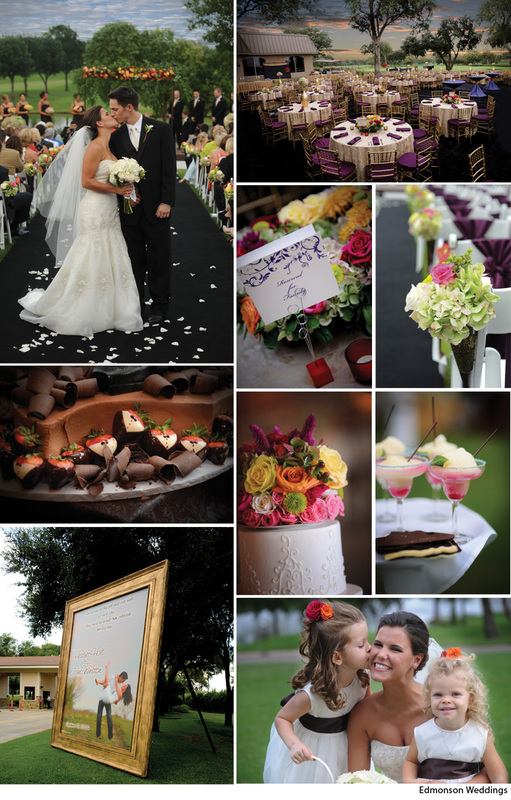 Be sure to check out this gorgeous wedding in the latest issue of Brides of North Texas! To find out how you can feature your wedding in the next issue of Brides of North Texas, click here. Enjoy!